Starring: Kate Beckinsale, Duncan Joiner, Michael Landes, Lucas Till, and more. Why do I do this to myself? Why do I do the same thing over and over again and have practically the same outcome every single time. I feel like a Call of Duty game. Well, let us get this over with so you can understand my dreadful intro. 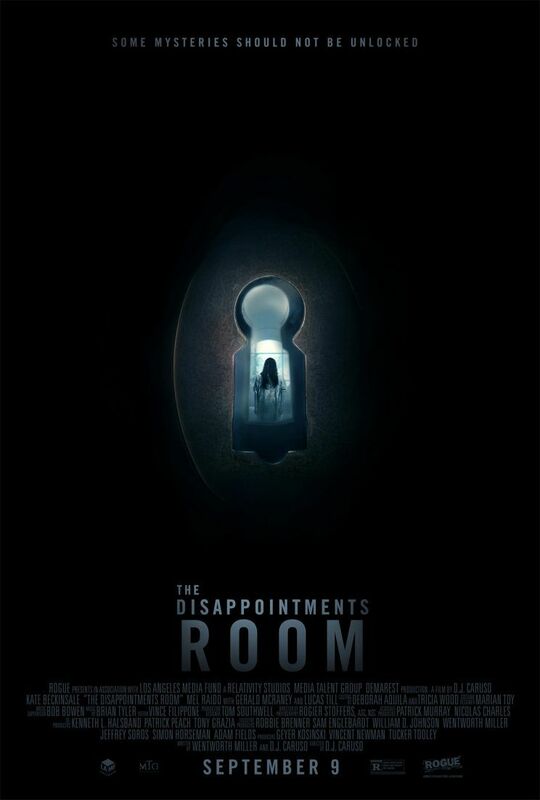 ‘The Disappointments Room’ is a horror/drama film released in theaters on September 9, 2016. Starring Kate Beckinsale which normally sparks the, “Oh wait, she is awesome. She was in…. Uh… What was it? *searches IMDB”. Nonetheless, a seemingly memorable actress surrounded by partially known/mostly unknown supporting cast members frequent this horror flick, but as expected, it falls short of being entertaining, per usual, and the stardom is hardly enough to generate hype or awareness. A family of three move to a small town and purchase their dream home. Mother and wife of the family, Dana (Kate Beckinsale), renovates the house but stumbles upon a locked door within the attic and unleashes a dark horror upon her family. This leaves the family in a struggle between dream and reality, especially Dana herself, whom of which has a troubled past that haunts her enough as is but is magnified upon releasing the horror. ‘The Disappointments Room’ was one of the worst movies I have seen in theaters in recent years, period. Where do I even begin? There were almost two completely different plots running at the same time where attempts to mesh the two together failed atrociously…. For a “horror” tagged movie, this was hardly any form of the word. I understand clearly that there are different variants of horror but I fail to see any form of it take hold… I felt no pull to any of the characters. They all felt very dry and boring… I felt Lucas Tills character was absolutely pointless. He served zero purpose… I am sorry, I am getting bored and annoyed just trying to remember this film. Case and point, this film was horrible. Would not recommend it to anybody. Would not recommend it to get drunk to and laugh at. Would recommend it to torture inmates.